What is Christianity? How did it begin? What do Christians believe? What are their customs and history? How has Christianity developed though the centuries, and how diverse is Christianity today? Introducing Christianity is an essential introduction to one of the world's great religious traditions. 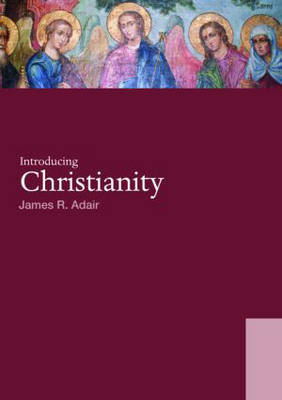 James R. Adair narrates the history of Christianity: the intellectual and historical context of its origins, its triumph under the Romans, the upheavals of the Crusades, the Protestant and Catholic Reformations and the challenges of the Enlightenment, and of the modern age. He explores the intriguing new forms Christianity took in the nineteenth century, the evolution of sects such as Mormonism and Jehovah's witnesses, and its mission to Africa. Adair also interrogates Christianity's role in the modern world, as he surveys liturgical, geographical and denominational perspectives of contemporary Christianity. He concludes by investigating how Christians interact with modern culture, particularly science, the arts, ethics, political and other religions. Written in a vivid and lively style, by an experienced teacher, Introducing Christianity is the ideal resource for students beginning their studies of Christianity. Richly illustrated, it also includes quotations from original sources, learning goals, summary boxes, questions for discussion, suggestions for further reading, and a comprehensive glossary, to aid study and revision. The accompanying website to this book can be found at www.routledge.com/textbooks/9780415772129.